 Objectives This study attempted to identify changes in exposure to environmental tobacco smoke, as well as symptoms and attitudes among hospitality workers after the introduction of extended smoke-free workplace legislation. Methods A total of 37 volunteers working in bingo halls and casinos (gaming workers) and 54 bars and restaurant employees (other workers) in nine Swedish communities participated in the study. Altogether 71 of 91 persons (14 daily smokers and 57 nonsmokers) participated in both the preban baseline survey and the follow-up 12 months after the ban. Exposure to environmental tobacco smoke, smoking habits, respiratory and sensory symptoms, and attitudes towards the ban were recorded, and spirometry was carried out. Results The frequency of reported respiratory and sensory symptoms was approximately halved among the nonsmokers in both occupational groups after the introduction of the ban. Initially 87% had exposure to environmental tobacco smoke that was over the nicotine cut-off level chosen to identify possible health risk (<0.5 µg/m3), while, after the ban, it was only 22%, a relative risk of 0.25 (95% confidence interval 0.15–0.41). The risk decreased in both occupational groups, but gaming workers experienced the highest preban exposure levels. Attitudes towards the legislation were largely positive, particularly after the ban. However, there was no notable change in lung function, and there was no notable reduction in the number of cigarettes consumed by smokers. Conclusions The introduction of smoke-free legislation was associated with a substantial reduction in respiratory and sensory symptoms, as well as reduced exposure to environmental tobacco smoke at work, particularly among gaming workers.